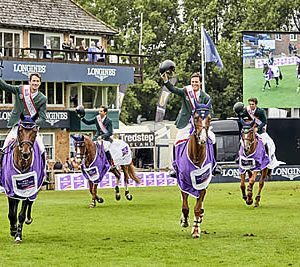 Brazil’s Marlon Zanotelli, Pedro Veniss, Yuri Mansur and Pedro Junqueira Muylaert made sporting history when winning the seventh leg of the FEI Nations Cup™ Jumping 2017 Europe Division 1 series at Hickstead (GBR). 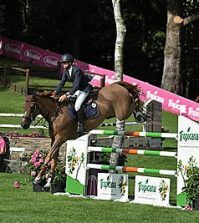 According to Veniss, this was the first Brazilian team ever to compete at the world-famous British showground, and the first time for each of the four horses and riders to tackle the notoriously difficult Hickstead fences. And on a truly tough afternoon when wet and windy weather led to Kelvin Bywater’s 12-fence track being relocated for the second round in order to ensure better ground, they didn’t just come out on top but they did it emphatically. Adding nothing to their first-round score of just four faults they overtook the Germans who fell apart in the closing stages to finish a full 10 faults ahead of the eventual runners-up from The Netherlands, while Switzerland and Ireland filled the next two places when posting 16 and 17 faults apiece. There were six Division 1 teams in action along with the Brazilians who compete in the South America League and the hosts from Great Britain who have been fighting hard since relegated to Europe Division 2 last season. 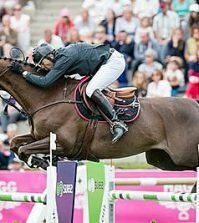 It was anchorman Pedro Junqueira Muylaert’s (31) single error with Prince Royal Z at the very last fence that Brazil carried into the second round after Zanotelli’s mare Sirene de la Motte and Veniss’ mare For Felicila both jumped brilliantly clear. Yuri Mansur’s Babylotte had three fences down, but this pair turned that all around at their second attempt so Junqueira Muylaert didn’t have to jump again because double-clears from Zanotelli (29) and Veniss (34) ensured Brazil already had the victory in the bag. 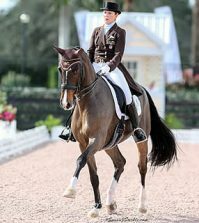 Dutch chances seemed dim after collecting 14 first-round faults for sixth place at the end of the first round, but when they added no more that would prove good enough for second spot at the end of a day of mixed fortunes for many. Harrie Smolders’ second clear with Don VHP Z was followed by fault-free runs from both Ruben Romp and Audi’s Teavanta ll who posted just a single time fault first time out, and Jur Vrieling whose stallion VDL Glasgow vh Merelsnet threw in an objection to the open water in round one but then popped it like a puddle in round two.